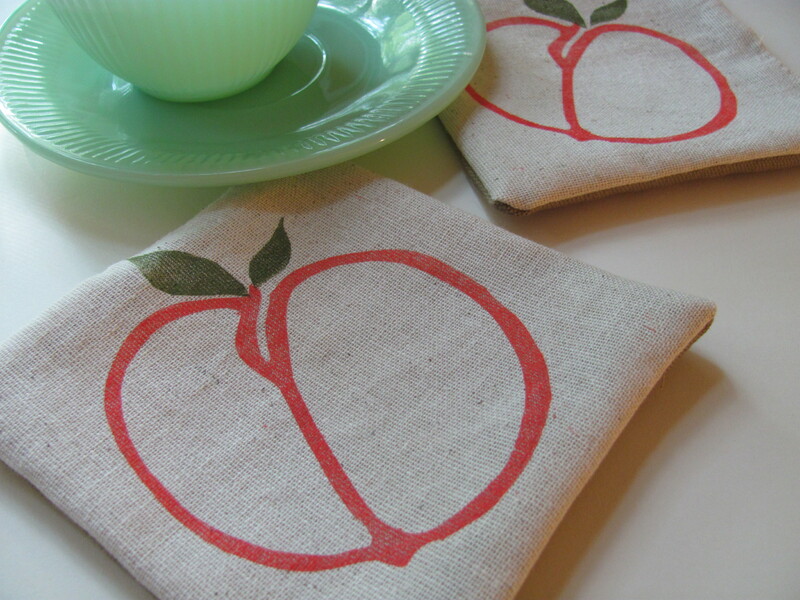 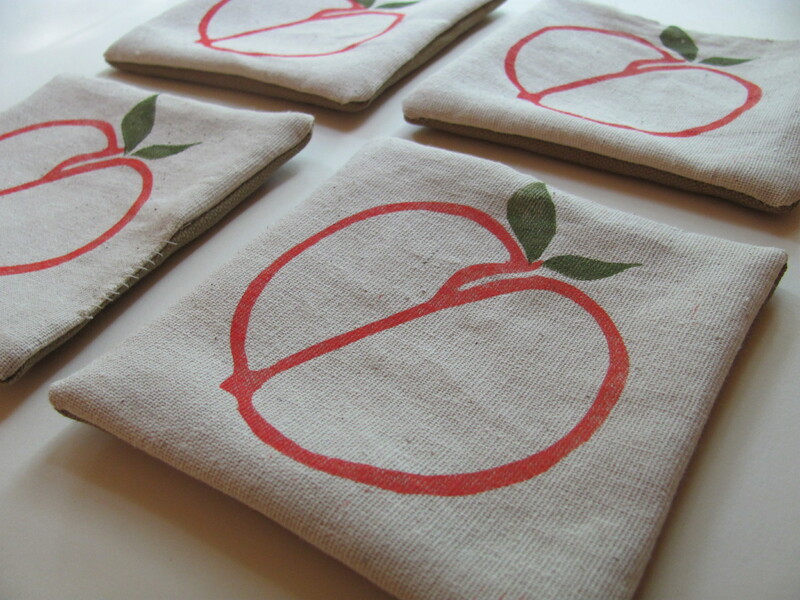 Set of 4 handprinted fabric coasters featuring a print of a ripe peach. 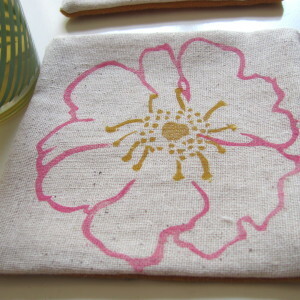 Each coaster is printed from carved linoleum blocks with non-toxic permanent ink and is washable/reusable. 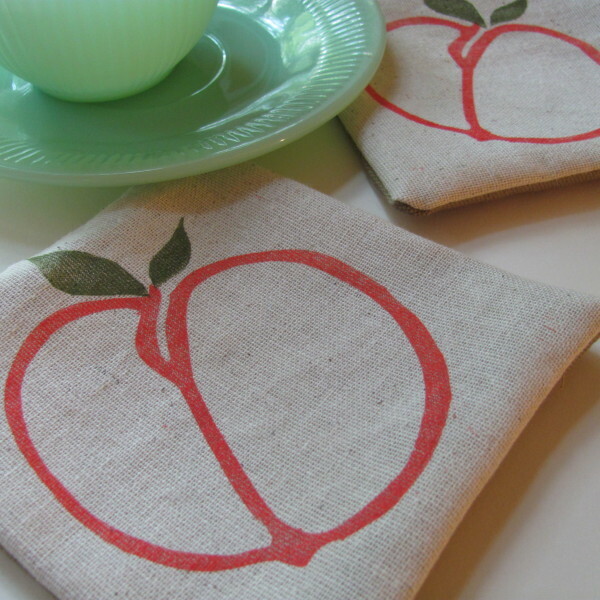 Coasters are made from a blend of linen and cotton and contain a canvas insert for better absorbency. Coasters can be washed on your machines cold setting and dried flat. 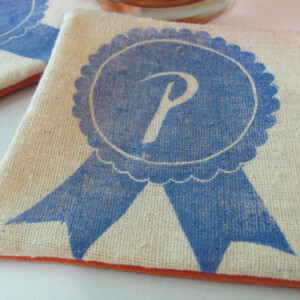 Category: Fabric Coasters. 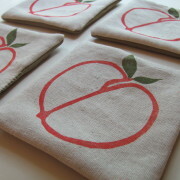 Tags: coasters, georgia grown, handprinted, linoleum print, peach, summer fruit, tableware, wholesale, wholesale coasters.